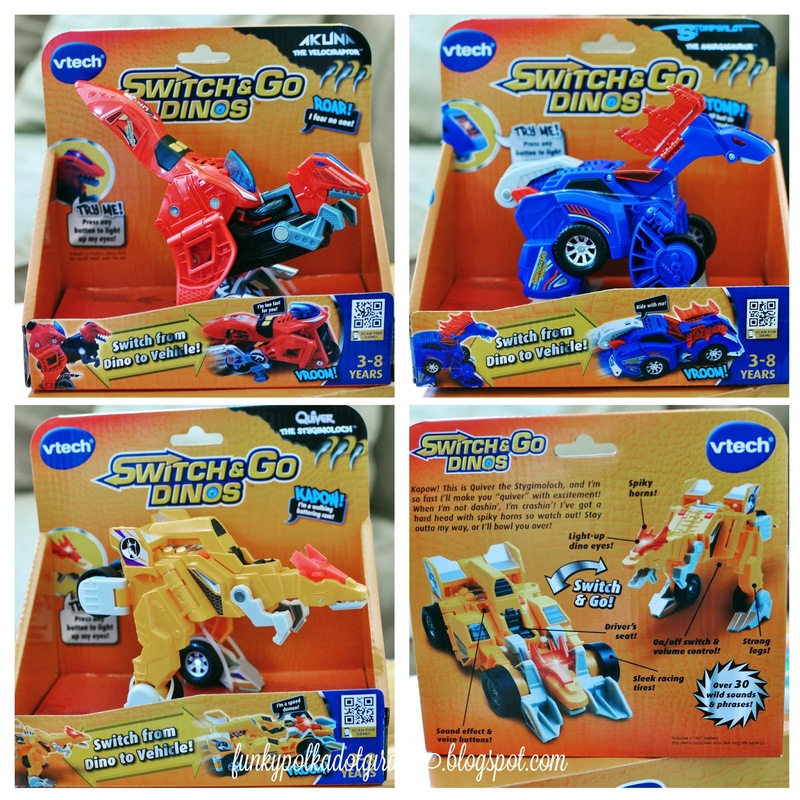 Disclosure: I was given VTech Switch & Go Dinos for review purposes. All opinions are my own. 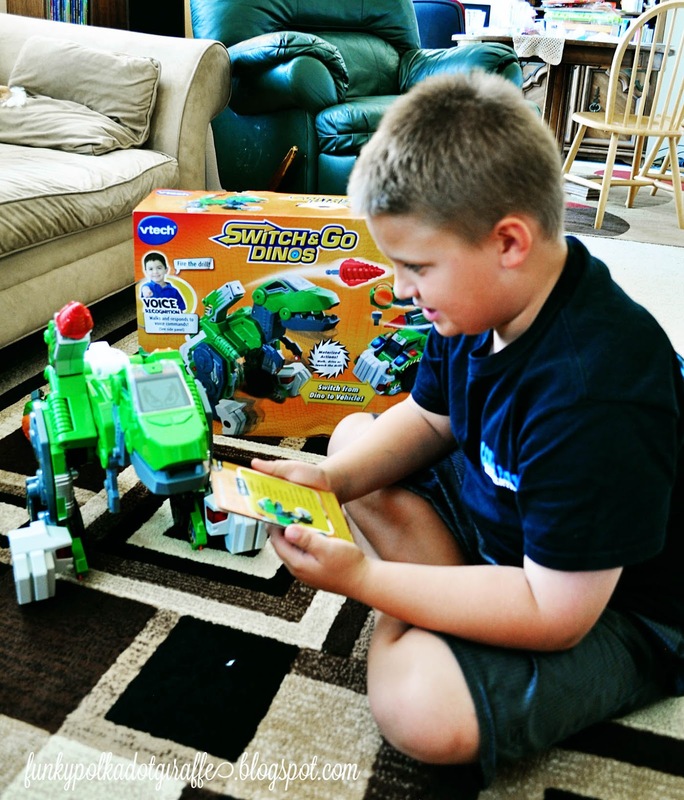 JT was so excited to try out the newest friend in the VTech Switch & Go Dinos® line. His name is Jagger and I have to admit that he is pretty cool. He easily transforms between a motorized construction truck to a powerful T-Rex! to get the hang of it, but now she's a pro and JT figured it out before I did. JT's favorite thing about Jagger is his voice recognition technology. He walks and responds to 24 voice commands - 12 in each mode. The kids have had hours of fun showing off to their friends how talented Jagger is. My favorite command is, "Fire the drill!" 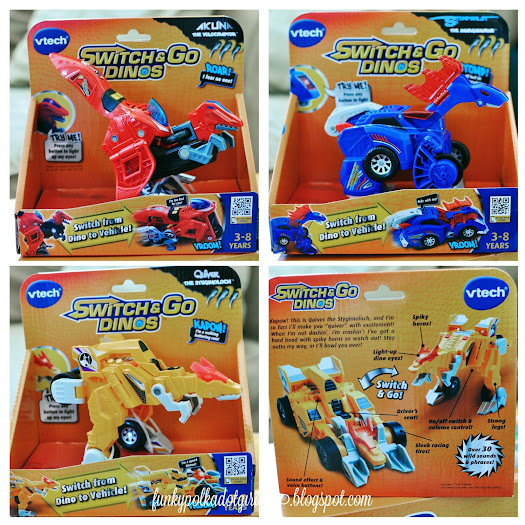 There are now more than 15 Switch & Go Dinos in VTech's evolving line! that I pronounce all of their names correctly. o Jagger the T-Rex transforms from a construction crane to a Tyrannosaurus Rex in just a few simple steps. Combined with voice recognition technology, Jagger is one of the coolest Switch & Go Dinos yet! Jagger even recognizes and responds to specific voice commands. 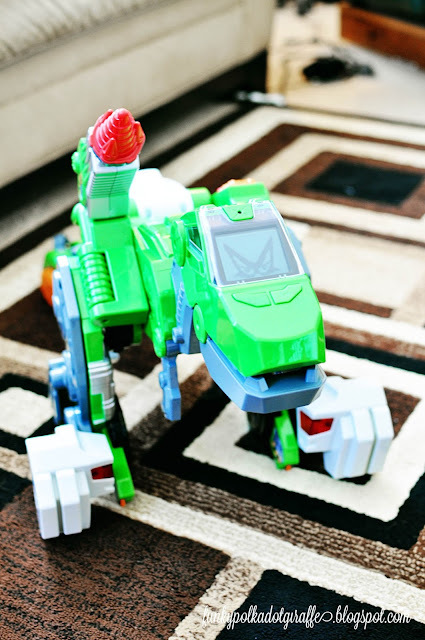 Say “Roar with me,” and hear him roar with his voice-activated motorized jaw. show off their dinosaur roar skills in the Dino Roar Photo Sweepstakes on Facebook. JT is getting the party started by showing you how he can roar like Jagger! AND!!!!! 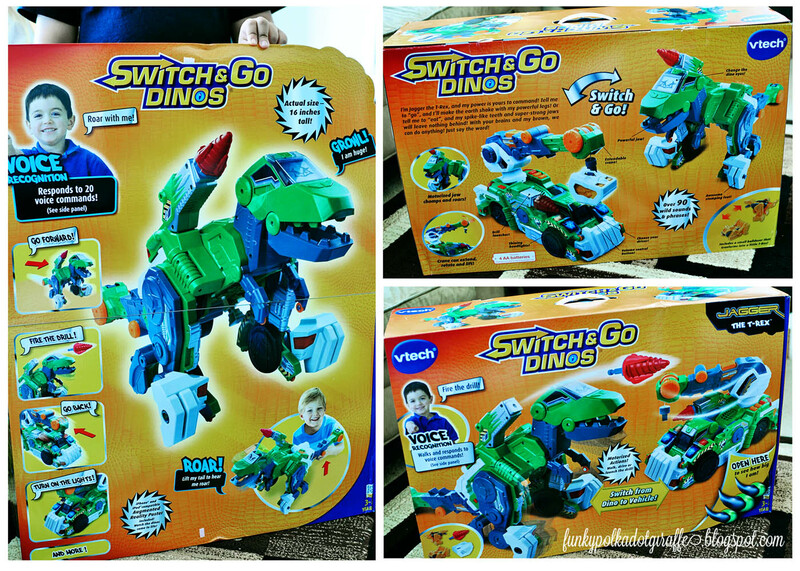 I am giving away a set of three Switch & Go Dinos! Just enter below using the Rafflecopter widget and good luck! Blister the Velociraptor™, he loves helicopters! These look so neat! My nephew would LOVE Jagger the T-Rex! The favorite is the Stompsalot the Amargasaurus. Jagger the T Rex would be their first choice, I am sure. T-Rex would be my grandson's fav I think. My son would love the T-rex. That's his favorite dinosaur. My son would love them all. I don't think he'd like just one! My grandson would love all of them but I would say the TRex one would be the number one! Oh I think Carter would love the SkySlicer the Allosaurus! Although they are all so cute and fun! We are all about the T-Rex!